Nusa Dua, Bali, October 2013. The Westin Resort Nusa Dua, Bali bid a fond farewell to all 127 contestants competing in Miss World 2013 as they headed home to their respective nations. The beauties had spent several weeks on the island as they participated in the ultimate cerebration of femininity, intelligence and social grace. 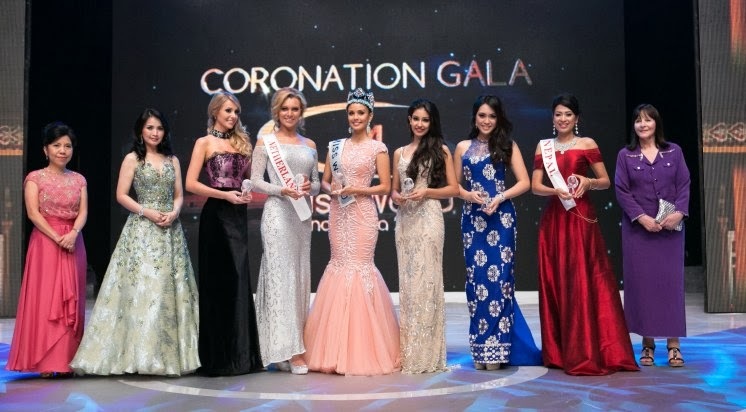 It was a life-changing experience for all of the Misses as they were treated to Bali’s unique culture and warm hospitality throughout the pageant program. This prestigious international event came to an end on Saturday, 28th September 2013 with a closing ceremony and coronation dinner hosted at the Bali International Convention Centre. It was a glamorous evening that attracted an audience of Indonesian celebrities and VIP guests as the contestants took to the stage for the very last time. Viewers from 160 nations around the globe watched a live telecast as Megan Young from the Philippines was crowned Miss World 2013. As the official hotel for Miss World 2013, The Westin went to great lengths to ensure that the contestants were well cared for and felt relaxed during their stay on the island of Bali. This entailed anticipating their personal needs and culinary preferences to arranging inspiring activities and enriching experiences. Highlights included an early morning turtle release on the white sand beach of Nusa Dua. There was also Kampung Westin, an evening bazaar that recreated the colorful ambience of a traditional Balinese marketplace. During their time at The Westin, the contestants stayed in the resort’s brand new wing featuring contemporary Balinese guest rooms and a refreshing lagoon swimming pool. Prego restaurant was also used as a private dining venue serving a delicious SuperFoodsRX breakfast and other healthy meals. The beauties took full advantage of WestinWORKOUT to stay in shape and enjoyed nurturing rituals at Westin Spa for body, mind and spirit rejuvenation.